Twinkle and Twine: Tutorial Page Makeover! Twinkle and Twine's tutorial page just got a makeover! Woo-hoo! 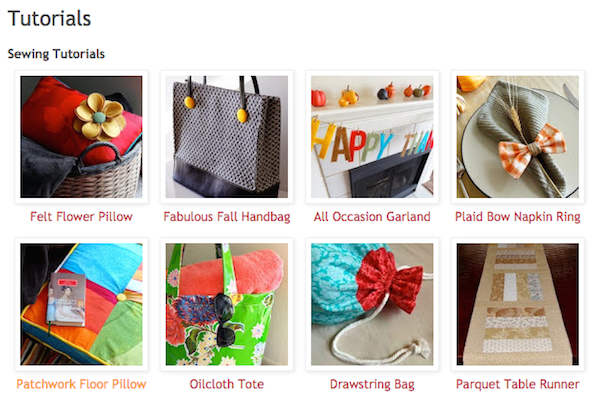 The blog's tutorial photo index now includes all of my tutorial projects arranged into three categories: sewing, jewelry, and miscellaneous. The best part of all is that the new format will be much easier to maintain, so I can easily keep it up to date (here are links to the html code and instructions for any bloggers who may be interested: she makes a home and Laura's Crafty Life). I hope you like the updated page, now you can easily find past projects...Yay! Please take a look!